Unlimited Fun, Shapes, Stress Relief & More! 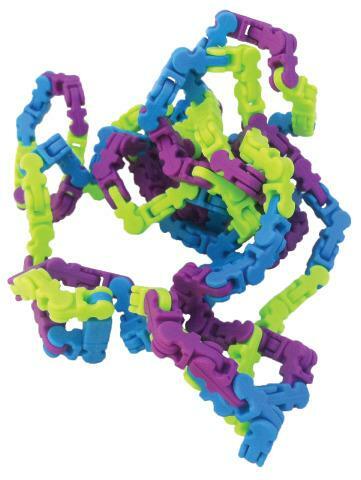 Twiddle it's a shape maker and fidget toy in one! It is so much fun that you won't want to put it down. Comes with 170 fun, totally safe interchangeable pieces that can be shaped, molded, torn apart or snapped together in endless ways to provide hours of fun. CHLOE'S PICK - "Twiddles have a unique texture to them and make a great fidget!"